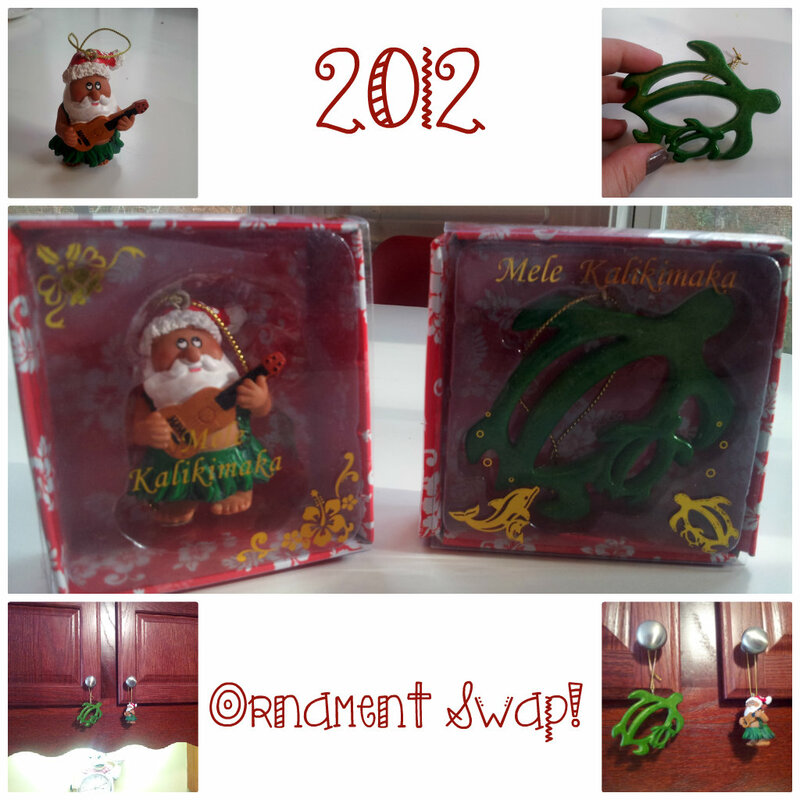 I participated with The Sapphire Bee & Pretty Living for an Ornament Swap! 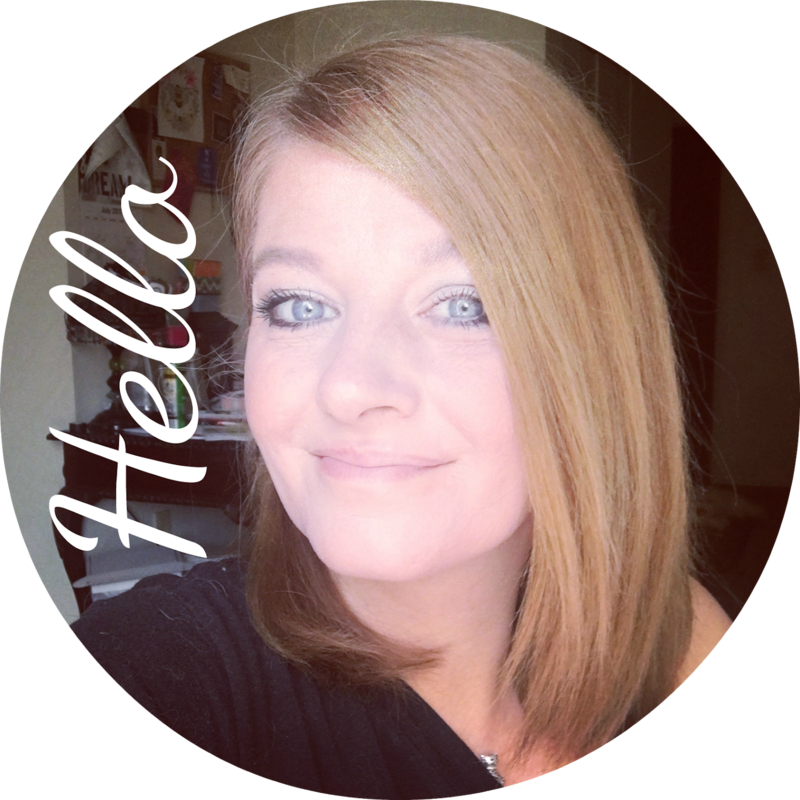 I think swaps are such a fun way to get to know other bloggers! So my swap partner - " E " From The Adventure of E - lives in Hawaii.. ( Lucky Girl! ) .. Here is what she sent me!! Isn't the Hawaiian Santa is pretty cute huh!? She also sent me a second ornament that's a mommy turtle and her baby! Again really sweet! I have a pink and silver tree and I can't hang other colors on it otherwise my OCD would kick in and it would just drive me crazy.. so for ornaments that are not pink or silver.. I put around the house in other spots. I hung these 2 adorable ornaments on a couple of my kitchen cabinets. See.. ornaments don't always have to go on a tree. I also love hanging them in windows too! I actually have a post coming up soon of some of our ornaments in the windows.. and they are really cute! Anyway, this is what I sent to E for the Swap.. 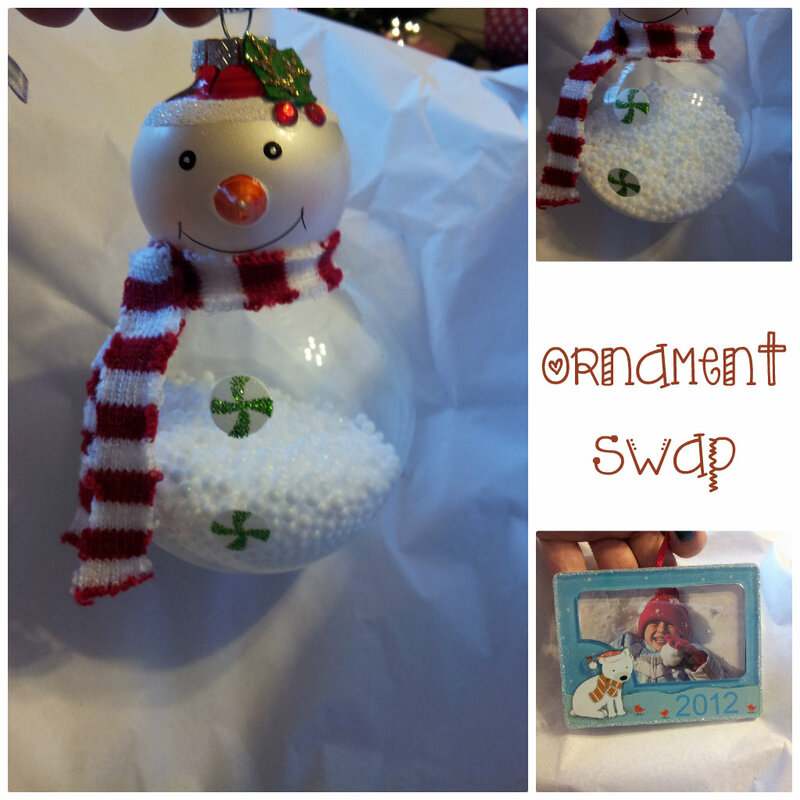 I fell in love with the snowman because his belly reminded me of a snow globe and I also sent a ornament frame that she could put any picture she wanted in it.. and who doesn't love that!? You can check them out on her blog right here!! This swap was a lot of fun! 1 comment on "2012 Ornament Swap! "